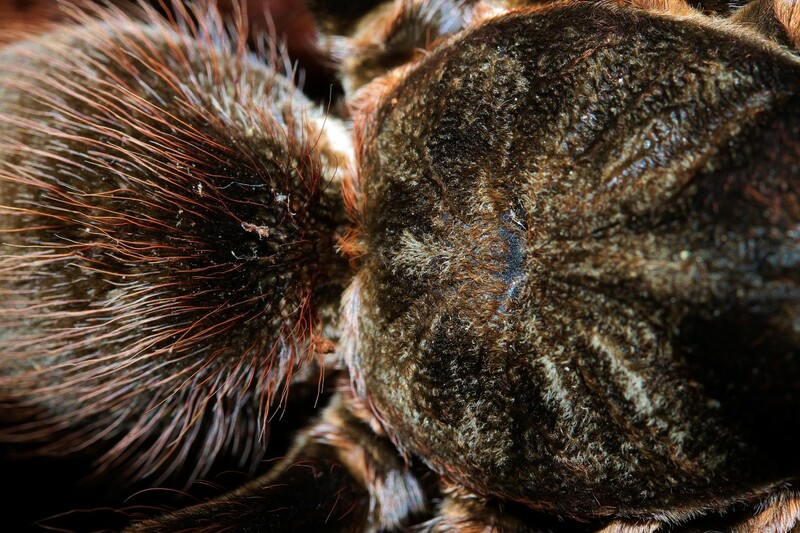 This new world terrestrial tarantula from Peru is slightly larger than tarantulas that are more common in the trade, like Brachypelmas and Grammostolas. They can have a leg-span of almost six inches and though they are mostly brown in color their leg-striping is a beautiful peach-to-orange color, hence their more often used common name. Because of this larger size is probably where the name Goliath Orange-Stripe name came from. 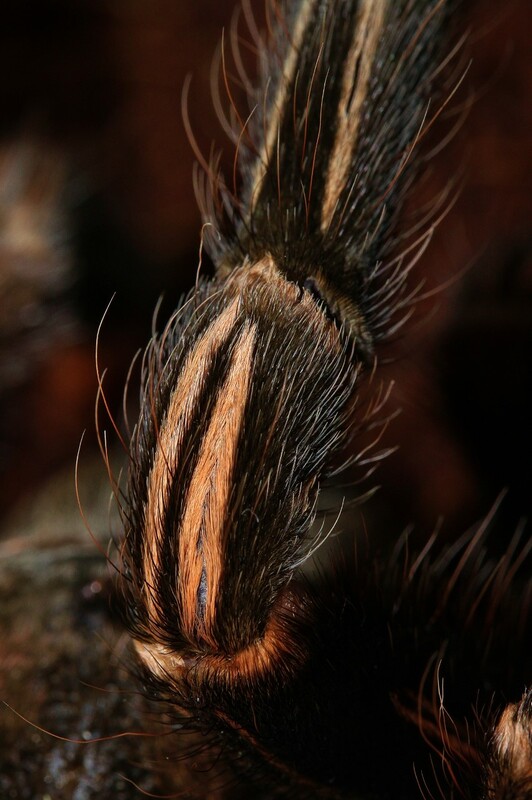 They can be kept just like Brachypelmas, Aphonopelmas and Grammostolas with temperatures in the mid 70’s and about 75% humidity. A water dish will provide the necessary humidity. They are very opportunistic and seem to like living under existing structures as opposed to digging burrows. My female has never shown any real signs of aggression but at the same time, doesn’t like to be bothered. If I use tongs to remove dead or eaten crickets it slowly moves away as if to say “leave me alone.” It tends to be slow moving but can be lightning fast when subduing prey. I have never seen her flick hairs either. 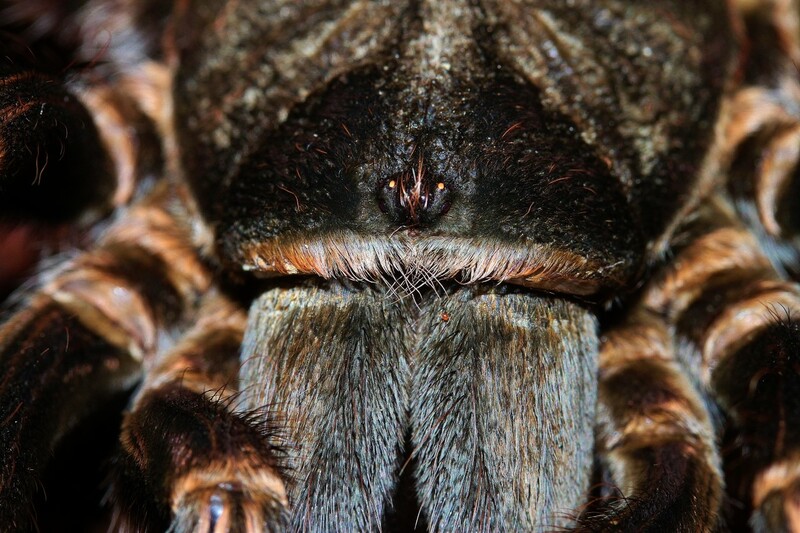 They do like to make webs but not to the extreme that Chromatopelma cyaneopubescens does. It will cover most of the substrate and eventually it does get thick but it does not create intricate tunnels and hiding places like cyaneopubescens is known for. 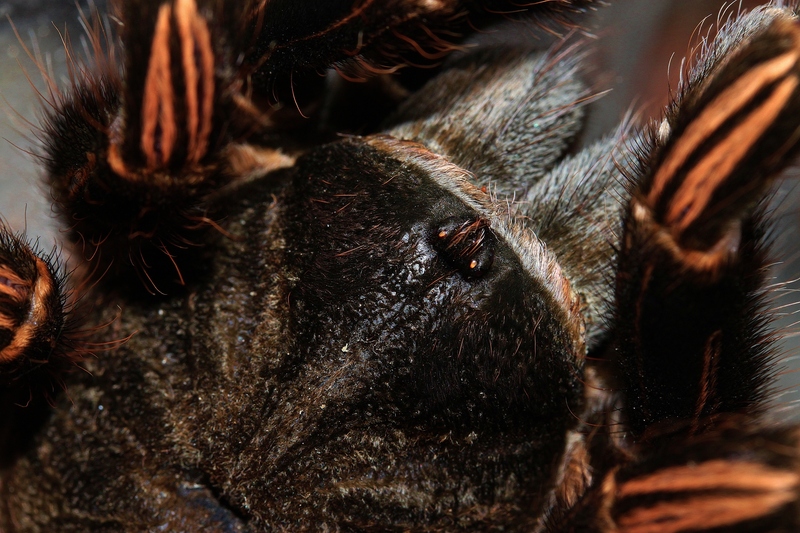 Webs are not evident in these pictures as they were taken after rehousing the spider with fresh substrate. The substrate I used is slightly damp Eco-Earth by Exo-Terra. This was more so to keep the dust down when pouring into the enclosure than for humidity reasons. For the most part mine will eat 1-2 large crickets a week though will slow down during the cooler winter months. I do not provide any external heat source and the enclosure is kept at room temperature. Though I have never seen her drink from her water dish, fresh water is available at all times. Overall this is a great species to have. They are beautiful in their own right and have a decent temperament. They are one of the easiest species to keep and I am hoping that with growing interest, dealers will start breeding this species so that everyone can enjoy them. 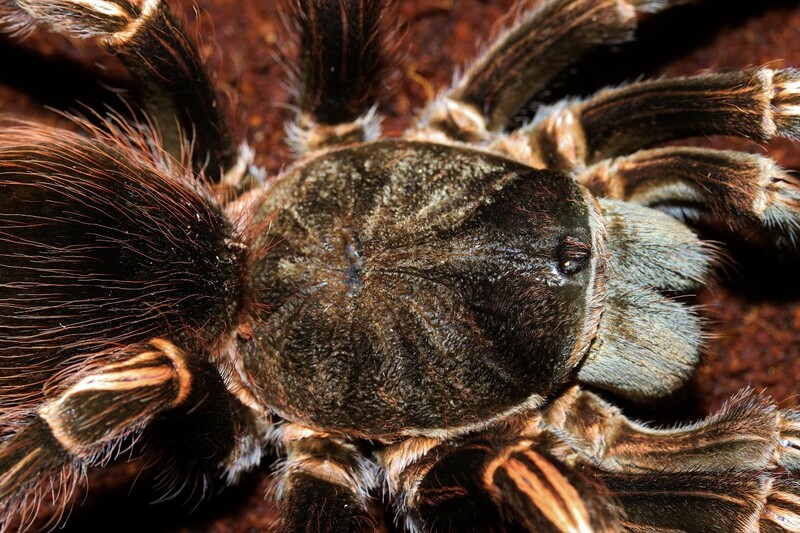 This entry was posted in Tarantulas and tagged Aphonopelma, Brachypelma, Chromatopelma cyaneopubescens, Eco Earth, EcoEarth, Exo Terra, ExoTerra, Grammostola, Lasiodorides striatus. Bookmark the permalink. Hey bro, I have a female Lasiodorides striatus too, it’s a wonderful specie, but there is not too much information about it. I keep the subtrate dry since I get her but now I see your substrate and it’s wet. Am I making a mistake to keep it dry? I keep mine dry too. When I took the pics it was after I had rehoused it with fresh substrate that was moist at the time. It has since dried out and I just use a water dish for humidity and it has never had issues. Thank you for reply David. 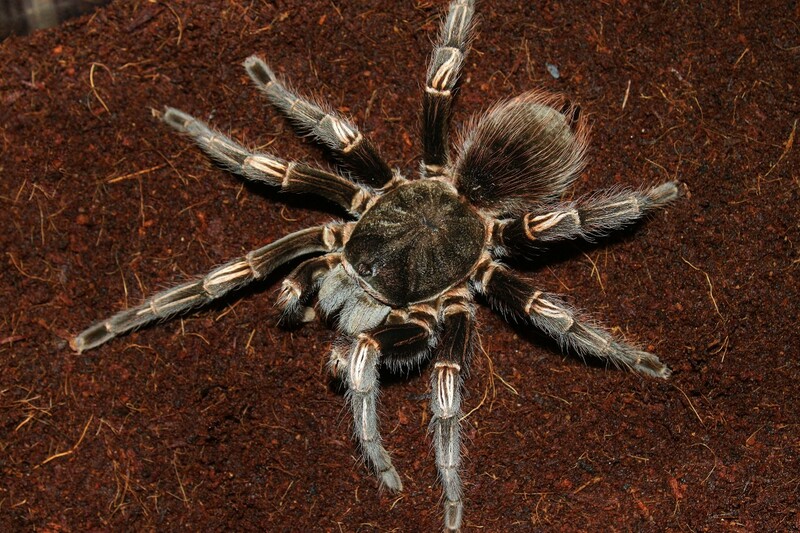 Do you sell this type of tarantula? No. I am not a dealer and have actually never seen them on any dealers’ pricelists. Just got a Peruvian Striped Knee. Amazing looking spider. Was a little pricey, but she’s extremely docile and has a great temperament. I highly recommend finding one of these beauties. Males tend to have longer legs and less bulky bodies. 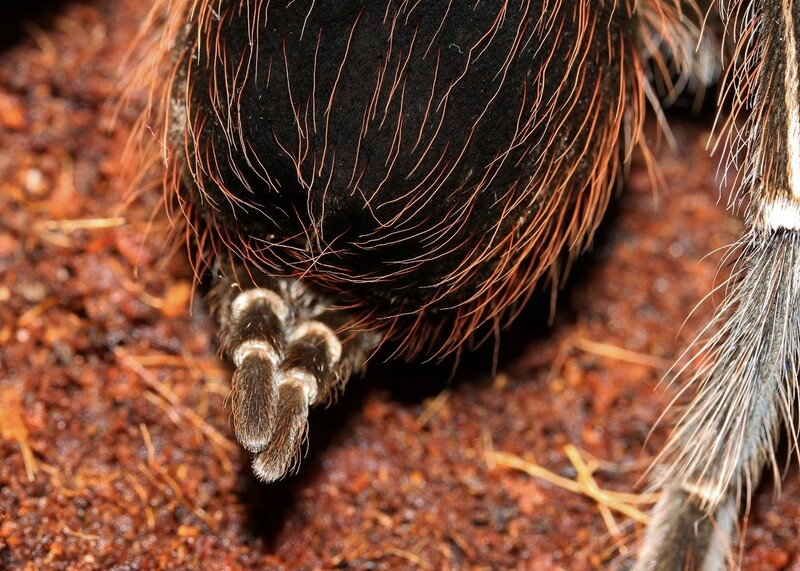 They also feature mating hooks on their front legs to help their survival by hooking the female’s fangs during a mating attempt. Females can live for 20-25 years and males 7-8.